We view people as our most important resource! We could not fulfill our commitment to our customers without motivated, professional, and customer-oriented employees. At Budd, we provide a work environment that fosters employee safety, security, satisfaction, and development. We offer employee assistance, training, wellness, incentive and recognition programs, and Culture Club; employee volunteers who partner with human resources to foster positive employee relations through company activities. Budd Van Lines is an industry leader in efforts to reduce our carbon footprint and positively impact the environment. Our Eco-Crate System is the centerpiece of our green initiative, featuring light, reusable and recyclable containers, saving thousands of cardboard cartons per year. We also save thousands of cartons by using Masonite floor protection. Budd employs aggressive fuel consumption measures. We have a robust recycling program, energy-saving office procedures–and we partner with vendors who follow sustainable business practices. Our conservation and energy-efficient measures reduce waste, protect the environment, and save money for our customers! 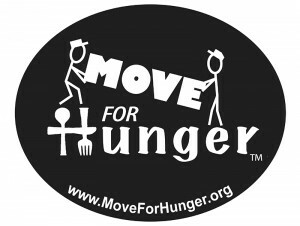 Budd Van Lines partners with Move For Hunger to support food banks across the U.S. Instead of throwing out non-perishable food, transferees can donate it to needy families.We donate in excess of 20,000 lbs. of food to needy families each year! 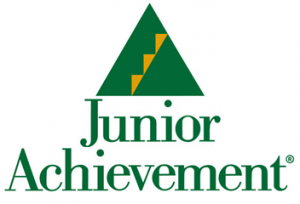 Budd Van Lines is a proud supporter of Junior Achievement through both volunteered services and financial donations. David Budd is a Board member of the New Jersey chapter and we make significant donations to the group per year. Budd Van Lines proudly supports the Police Unity Tour. The Mission of the Tour: The primary purpose of the Police Unity Tour is to raise awareness of Law Enforcement Officers who have died in the line of duty. The secondary purpose is to raise funds for the National Law Enforcement Officer’s Memorial and Museum. The Tour’s History: In May 1997 the Police Unity Tour was organized, by Officer Patrick P. Montuore of the Florham Park Police Department, with the hope of bringing public awareness of Police Officers who have died in the line of duty and to honor their sacrifices. The Tour started with 18 riders on a four day fund-raising bicycle ride from Florham Park, NJ to the National Law Enforcement Officers Memorial in Washington, DC. which raised $18,000.00. This May we had over 1, 900 members nationwide who made the trip, and we are proud to announce that we were able to donate $1,997,000 dollars to the National Law Enforcement Officers Memorial Fund, bringing our total donations to nearly $18 Million Dollars. Kellen Budd proudly participated on the support team while a Budd truck and followed the riders on the journey moving bikes and supplies.